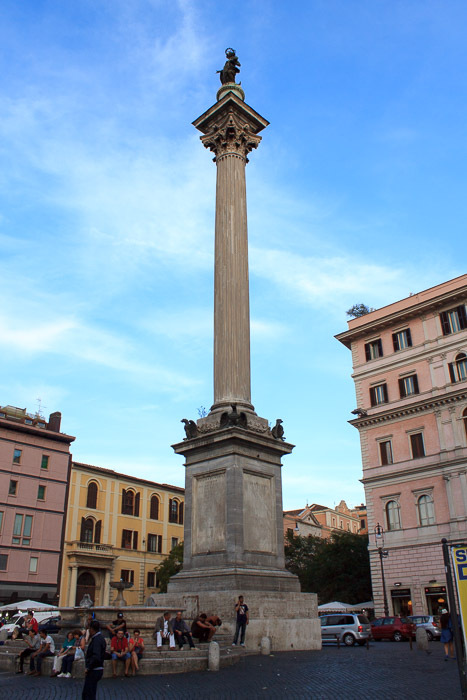 The Column of Peace is located in front of the church of Santa Maria Maggiore in Piazza Santa Maria Maggiore, on the side of the church furthest from Via Cavour. The column is 46 feet high and was relocated from the Basilica of Maxentius, where it was the only surviving column of the eight original marble columns which graced the basilica. At the time, the Basilica of Maxentius was incorrectly known as the Temple of Peace, so the column is known, even today, as the Column of Peace. 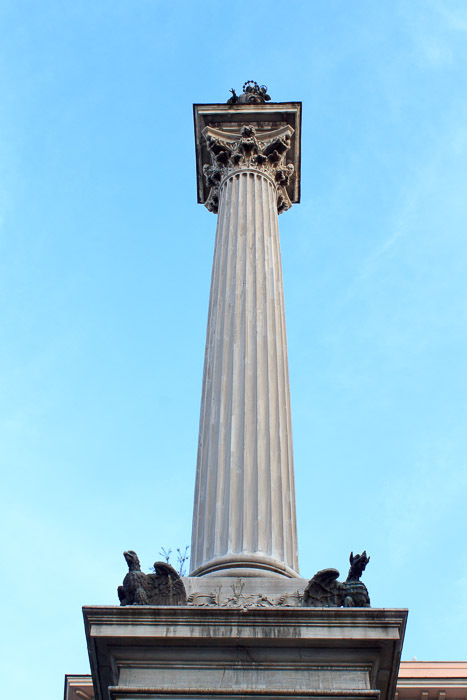 The Virgin Mary stands at the top of this Corinthian column, and eagles and dragons stand at the bottom. Mary was cast using some old cannons from the Castel Sant'Angelo. Standing next to the Column of Peace is the Fountain of Santa Maria Maggiore. See all Column of Peace photos.